Seurasaari Island and Open-Air Museum and Kansallisgalleria are good opportunities to explore the local culture. Discover out-of-the-way places like Ekenas Archipelago National Park and Nature & Wildlife Tours. 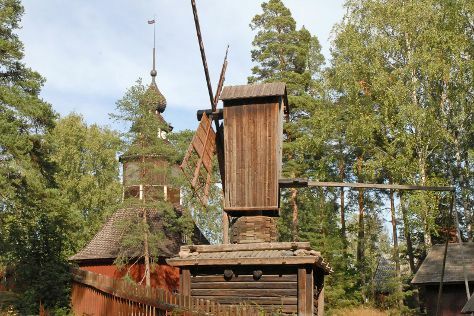 Step out of Helsinki with an excursion to Sipoonkorven Kansallispuisto in Vantaa--about 30 minutes away. There's more to do: browse the eclectic array of goods at Hakaniemi Market. To see ratings, reviews, where to stay, and other tourist information, read Helsinki trip planner . If you are flying in from United States, the closest major airport is Helsinki Vantaa Airport. Expect a daytime high around 47°F in April, and nighttime lows around 32°F. Wrap up your sightseeing on the 21st (Sun) early enough to travel back home.